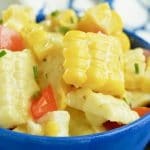 Fresh Chili Lime Sweet Corn Salad is THE ideal BBQ side dish to bring for any party this summer! Sweet, succulent corn, fresh juicy tomatoes blended with a cold chili lime dressing. 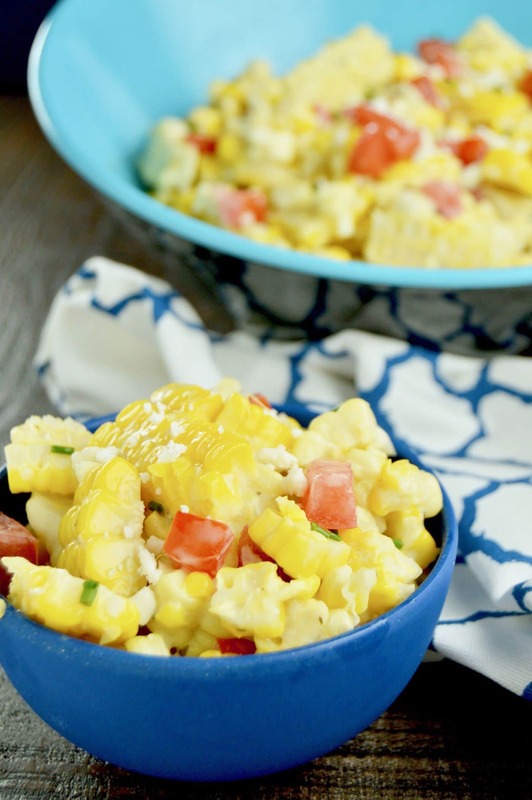 Fresh Chili Lime Sweet Corn Salad is a recipe that can be made in 15 minutes which in the summer is a necessity because who want to spend all that time in the kitchen cooking when you could be outside enjoying friends and family! This BBQ side dish salad is optimal in the summer because corn is at its peak of sweetness. I grew up in Nebraska and let me tell you there is nothing like fresh picked corn in late July. The corn is so sweet and juicy that you could eat it right after you shuck it its so tender and delicious if you really didn’t want to cook it. Its just that fresh. That being said, the Chili Lime in this (which I also used on this Grilled Green Chili Aioli Cheeseburger) is so full of flavor you can make this salad all year long and not be disappointed. I made this recipe by boiling it but if you want to grill it you can do that too! Here is an easy how to grill corn from What’s cooking America? This salad is better the second day. 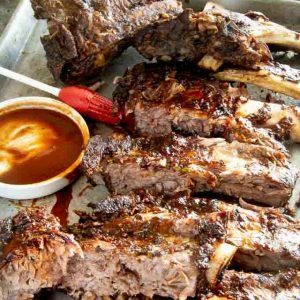 Make it the night before you want to take it to a BBQ and the flavors just get better and better. This Fresh Chili Lime Sweet Corn Salad is very versatile too. You can add other things to it as well, such as cucumbers, avocado, celery. You can even add different colored peppers to make it a little more festive. 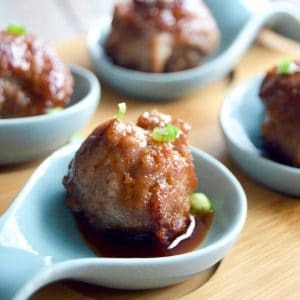 Looking for other recipes to bring or serve at a BBQ? Look at this deliciousness! Bring water to a boil in a large stock pot with enough water that once you put the corn in they will be completely covered. Add corn to pot and boil until tender about 12-15 minutes. Remove from water, drain water and then on a cutting board place the ears of corn to cool until you are able to handle them. Cut corn away from cob and place in a bowl and place in fridge to cool for 15 minutes (you want corn to cool so when you add the aioli it does not separate.). THIS STEP IS IMPORTANT! Once corn is cooled add tomatoes, basil, lime juice and aioli and mix well. Season with salt and pepper to taste. Then if serving immediately, sprinkle feta cheese over the top and serve. If serving the next day, or later in the day wait to sprinkle the feta cheese until you are ready to serve. Ooh, I love fresh corn in the summer! This salad look so good! You’re totally right- there’s nothing like fresh corn on the cob!!! I can’t wait to try it with this dressing- it sounds amazing! Bet this would be fantastic with grilled corn. 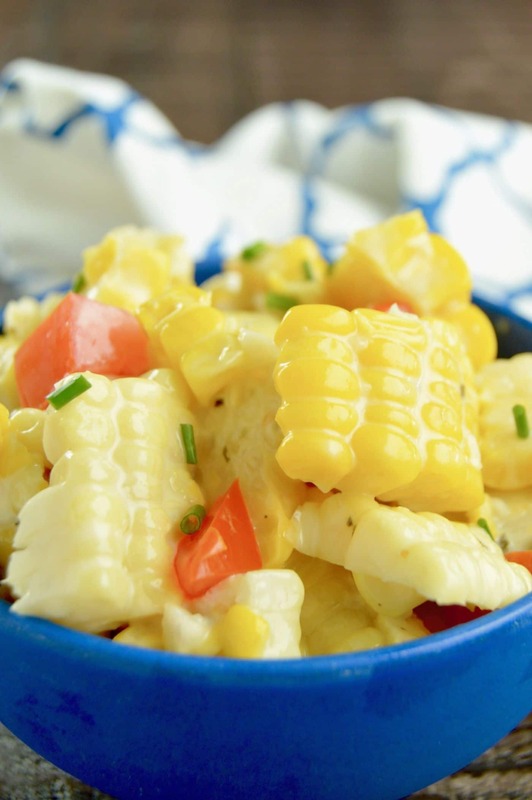 I can never get enough sweet corn during the summer – This is the perfect way to enjoy it! This salad sounds delicious! 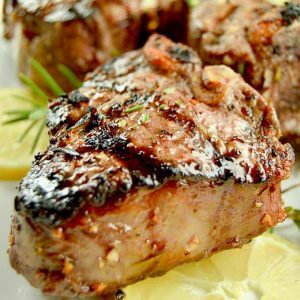 What a yummy dish and perfect for those bbqs this summer! 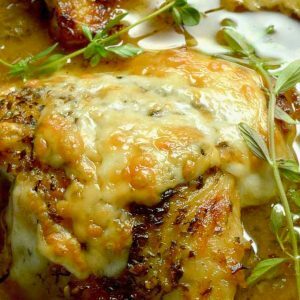 I love the flavors you have going on here, and so easy! I can’t wait to make this! That Green Chili Aioli is quite popular in EVERYTHING we are having at my house! Flavor packed goodness for the win! This corn salad sounds amazing Michele, I love that dressing, it just screams summer!! We have so many summer bbq’s coming up, I am adding this to my potluck recipe rotation! Oh heavens that has summer written all over it and it would be so good with BBQ!